The Student Lounge is located on level 1. 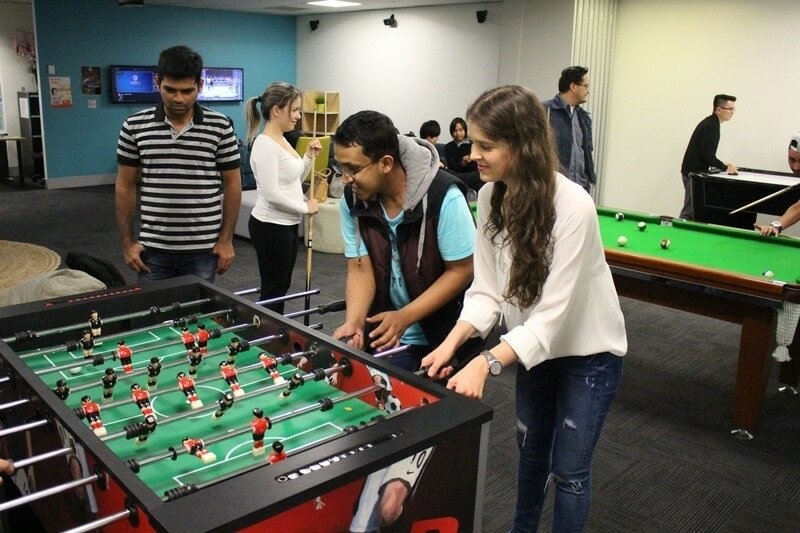 Feel free to drop by the between classes, during lunch breaks or after hours to enjoy the snooker table, foosball table, air hockey, multiple televisions, couches and XBox 360 consoles! The lounge has a kitchen equipped with fridge and microwave facilities as well as a large dining area.